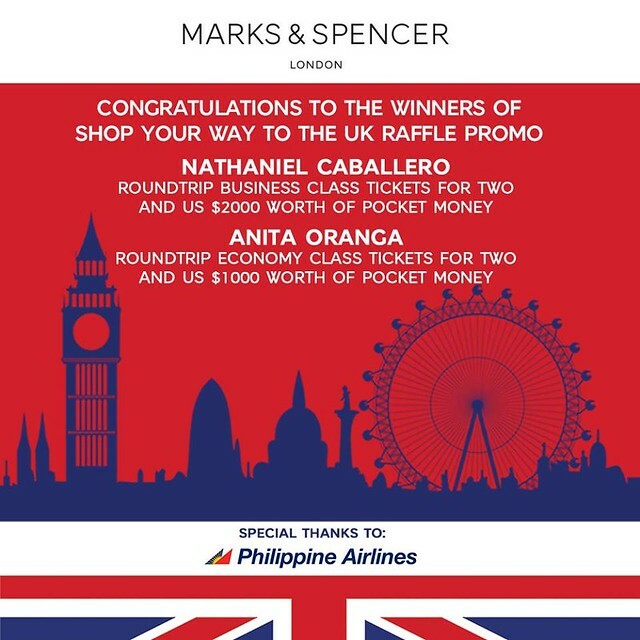 Marks & Spencer PH Shop Your Way to the UK Raffle Promo! Since Christmas is getting near I remember last year when I still have a job, Marks & Spencer is one of a few shop I'm eyeing to buy some Christmas present for my family & myself. 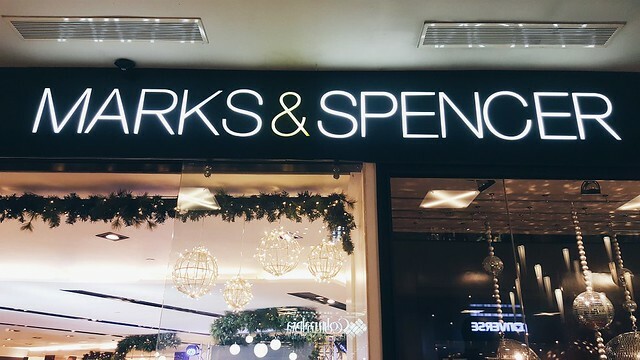 I regret not following my presentiment to bought some things to M&S, because just last week Marks and Spencer announced the winners of their "Marks and Spencer Philippines Shop Your Way to the UK Raffle Promo." 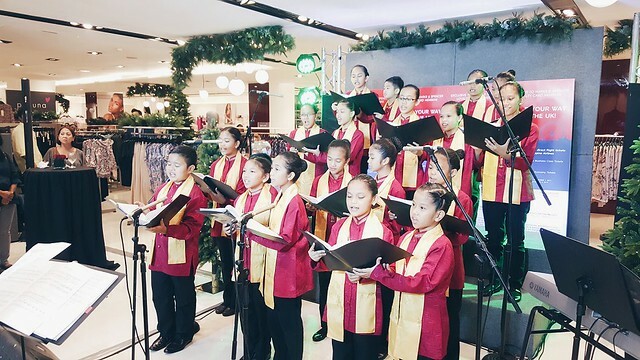 Before unveiling the winners, we were serenaded by the adorable kids fromMandaluyong Children's Choir. 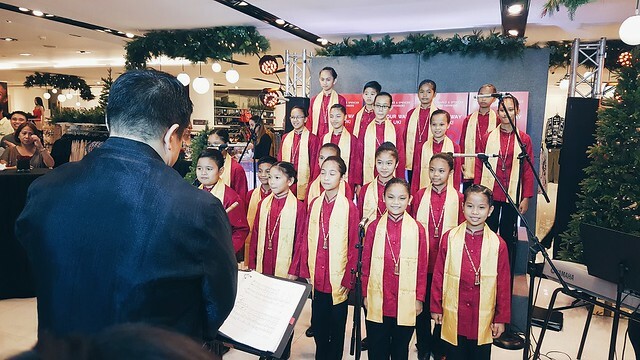 Christmas is really in the air when I heard them singing. After a couple of Christmas songs the host finally announced the lucky winners! I'm truly devastated with jealousy and wishing it was me who was picked, but unfortunately I didn't had a chance to join. lol! 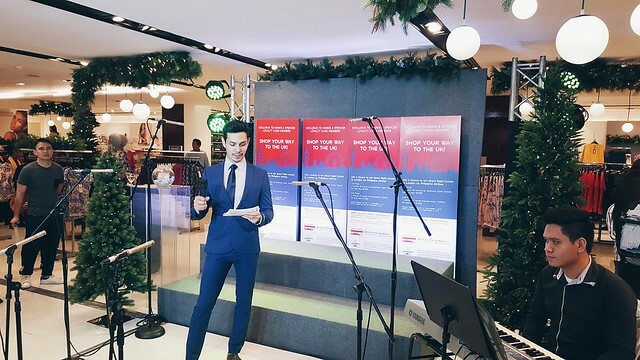 That's why I will mark my calendar to not miss this kind event and Hopefully next year I win, because I'm sure that Marks and Spencer Philippines have some exciting prizes awaits for their loyal customers.